Samsung says that with the NPU in the Exynos 9820, the chipset is able to perform AI tasks seven times faster than its predecessor. 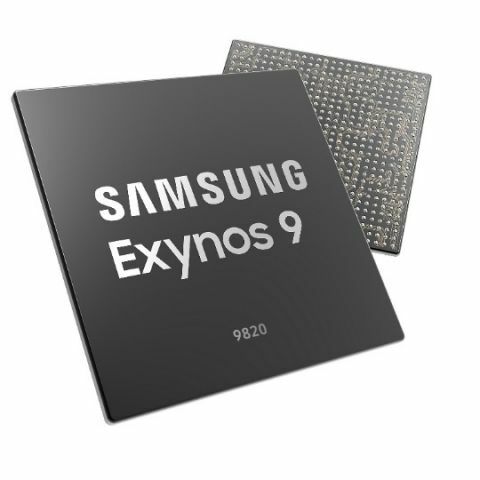 Samsung has unveiled its newest flagship-grade Exynos SoC that will power its next generation of flagship smartphones. Called the Exynos 9820, the chipset will power the upcoming Galaxy S10 flagship from the company. The new SoC features fourth-generation custom CPU cores as well as a 2Gbps LTE Advanced Pro Modem. It also comes with a Neural Processing Unit (NPU), similar to what Huawei offers in the Kirin 970 and Kirin 980 chipsets. The chipset is manufactured using an 8nm LPP (Low Power Plus) FinFET process, which the company says can reduce power consumption by up to 10% as compared to 10nm LPP process. The Exynos 9820 chipset is expected to be in mass production by the end of this year. Samsung says that with the NPU in the Exynos 9820, the chipset is able to perform AI tasks seven times faster than its predecessor. The company notes that the NPU allows for AI-related processing to be carried out on the device itself, rather than sending the task to a server. It will also help with recognizing objects to provide information in augmented or virtual reality (AR or VR) settings. 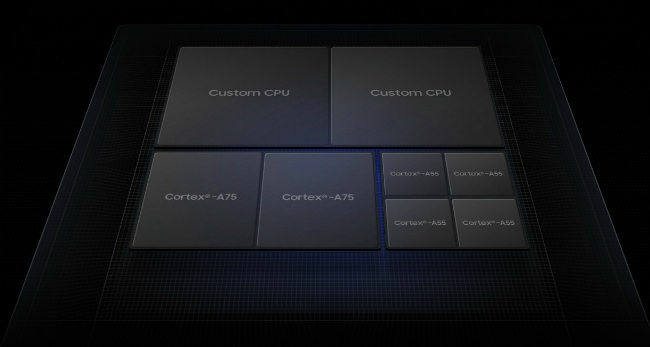 The Exynos 9820 features a tri-cluster architecture consisting of 2 custom cores for high performance, two Cortex A75 cores for ‘optimal performance’ and four Cortex A55 cores for efficiency. The company claims that the fourth generation custom cores used in the Exynos 9820 offers a 20% improvement in single-core performance and a 15% performance increase when compared to its predecessor. It also offers a 40% improvement in power efficiency. The new chipset also comes with a Mali-G76 GPU, which Samsung says can deliver a 40% performance boost or 35% power savings. The LTE-Advanced Pro modem in the Exynos 9820 offers 2Gbps downlink speeds with 8x carrier aggregation (CA) and 316Mbps uplink speeds. Other features include 4×4 MIMO (Multiple-Input, Multiple-Output), 256-QAM (Quadrature Amplitude Modulation) scheme, and enhanced Licensed-Assisted Access (eLAA) technology. In terms of camera, the Exynos 9820 supports a 22MP sensors on the front and back, or a 16MP+16MP dual-camera setup. It is also able to support 8K recording at 30fps or 4K UHD recording at 150fps. The new chipset is expected to be used in Samsung’s flagship lineup of 2019. This includes the Galaxy S10, the Galaxy Note 10 as well as the company's upcoming foldable smartphones.